Track and Send Tips Instantly! 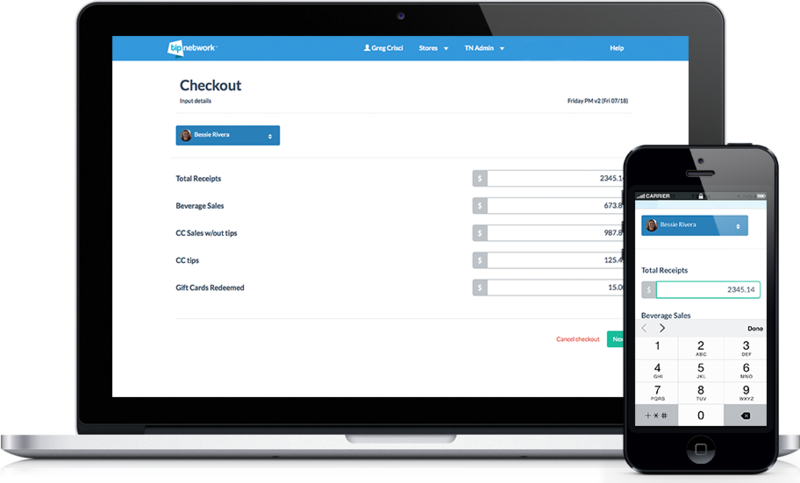 The fastest way to calculate checkouts, distribute tips and digitally transfer funds. Checkout slips, spreadsheets and cash envelopes? 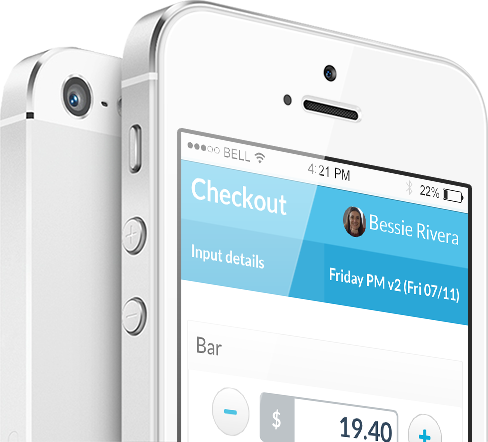 Tired of checkout slips, spreadsheets and cash envelopes? You've probably thought, "There has to be a better way!" Employee checkouts are quicker and more accurate. Managers eliminate labor intensive calculations. Accountants easily run tip and labor reports. Electronically send money directly to your staff with the click of a button, eliminating cash and envelopes. Now you truly know that all employees are adhering to your exact house policy every shift. It's easy. Starting from day 1, you'll be guided through the setup process by a Tip Network Account Specialist. Starting with your basic company information, we activate your account and work with you to enroll your staff. Every bar, restaurant, nightclub, seems to have their own unique tip out system in place. At Tip Network, we support any house policy you may have (as unique as they may be). Using your existing banking partner, we link your store account to your employees account effortlessly. There is no need to change a thing. Give your employees the freedom to check themselves out using any smartphone, tablet or laptop. To keep it secure, a managers PIN will always be required. Select your upcoming shift, drag and drop employees into the group they work, and start your shift. 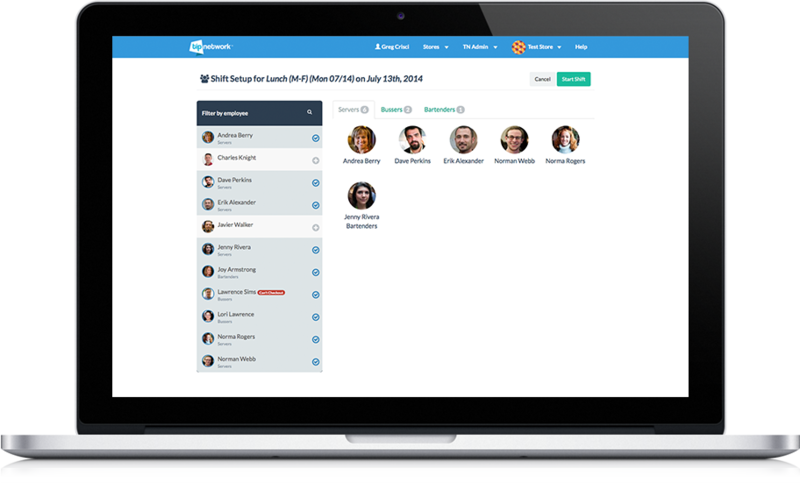 Managers can quickly checkout employees or employees can check themselves out. Enter hours for each employee and tips are automatically calculated. Review distributions and press send. Money is on it's way! We support over a billion different ways to tip out. Tip Network is accessible from your smartphone, tablet or desktop. We go where you go. If an employee tips out less than your house policy, we'll 'red flag' it for you. You now have the controls to approve it or not. Did Jessica really tip out 5% to the bar? Review detailed tip reports for any shift, person or group 24/7. 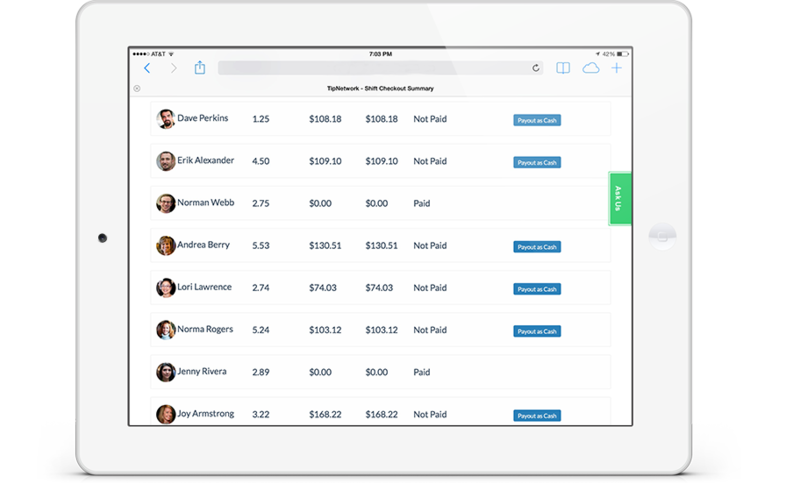 Tipping is as easy as selecting an employee, entering in an amount and pressing send! Provide your employees with access to their tip history, insights about their shift and the ability to manage their personal preferences. Call, email, tweet or send a smoke signal, we're here for you! Tip Network maintains bank-grade security. Data is fully encrypted using 256 bit SSL encryption. We are accepting new customers everyday. Fill out the form below to schedule a free 15 minute web demo. Thank you for signing up. You are one step closer to Making Tips Simple. We are currently preparing to add more customers like you and will contact you as soon as additional spots open up.